So you have taken the time to choose the perfect colour scheme for your wedding, why should your wedding car be any different? 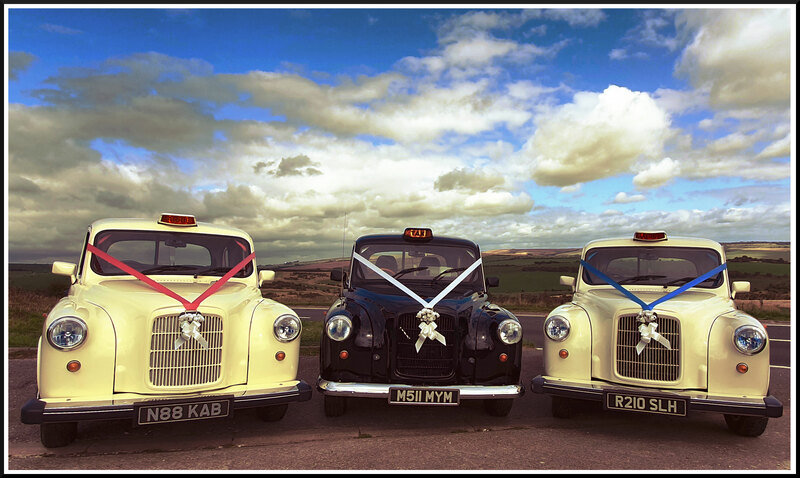 White London Taxi include with the price, vehicle ribbons in a multitude of different colours to compliment your dress, your bridesmaids dresses or wedding flowers. Naturally we can also provide the more traditional neutral decorations for those that wish the wedding taxi to become a back drop for wedding photographs. Whilst we stock many colours, specially order colours may incur an small additional cost. 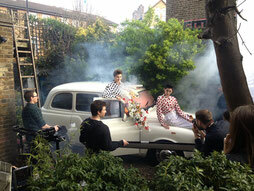 Want to Drink Champagne In Your Wedding Car? Unlike many wedding car providers, we do allow clients to celebrate their marriage with a glass of champagne in the vehicle. If you want to celebrate your new marriage with a drink en-route? 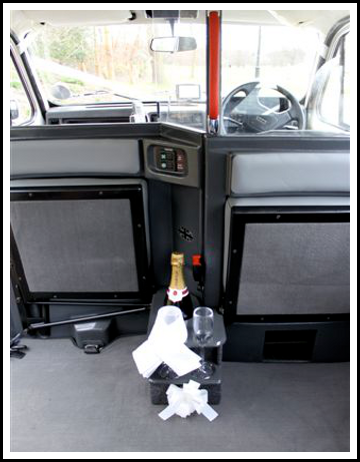 White London Taxi is able to offer champagne facilities in the rear of the vehicle. Whilst we are able to source champagne on your behalf, we recommend you provide your own. Champagne is a matter of personal taste, from Krug to Crystal, Bollinger to Laurent Perrier to Lidl's own brand, taste is subjective. Its only fitting your favorite is there to celebrate with. We will ensure any bottle remains chilled to perfection until its time to start the celebrations. As the Newly Married Couple you will be the first to be ‘sent off’ from the wedding venue, however do you really want to be the first to arrive at the (and walk into an empty) reception venue? Would it not be far better to walk into an applauding and welcoming reception? So if desired we offer the ‘depart first’ and ‘arrive last’ with a little ‘Getting Lost’ between ceremony and reception.